DAVID LE/Staff photo. 3/31/15. 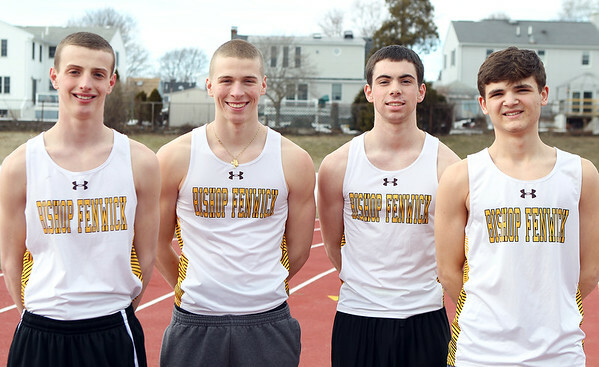 Bishop Fenwick senior captain Patrick Walsh, junior Mitch Rivers, and sophomores Colin Norton and Shawn Carlson, are the key members of the Crusaders' 4x400 relay team this spring. Senior captain John Blanchard (not pictured) also figures to be a contributing member of the relay team.